"Von Der Siegbach Rottweilers Introduction"
Home to some of the best show and working lines in the world.I'm a small kennel located in Middle Tennessee. 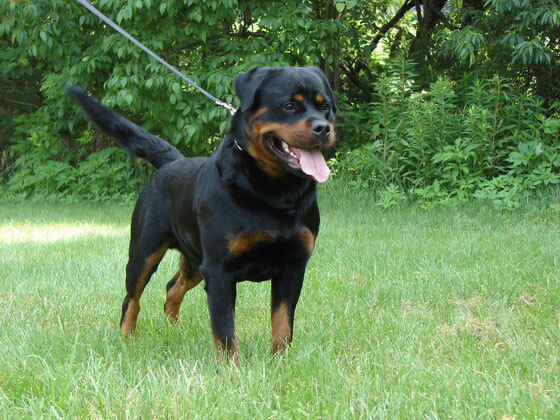 Von Der Siegbach will follow the same breeding standards as the ADRK in Germany.I will breed top quality dogs to produce top quality rottweiler puppies.All of my dogs will be selected and bred for the ability to perform in the show ring and be able to work on the Schutzhund field. Please take some time to meet my Rottweilers.There names are Bea Von Der Blockhütte from Von Der Blockhütte Kennel in Germany and Nanni Vom Hause Neubrand from Vom Hause Neubrand Kennel in Germany.In my opinion these 2 kennels in Germany produce some of the best all around rottweilers in the world.If you have any questions or need any additional information please feel free to contact me.